Built in 1849 as the Protestant Free Church and was located on Creek Road. In 1864 the Busti school district #15 (later to become district #8) converted the church into a two room schoolhouse. In 1890 Busti School district #8 sold the two room schoolhouse with the stipulation it be moved ( to it’s current location) so they could build a one room schoolhouse. Many residences may remember when our museum was a cow barn with an apartment on the main floor. 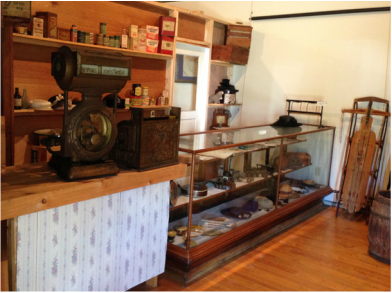 In 1979 Jimmy Larson sold the building to the Busti Historical Society and the hard work and co-operation of many people in the community converted a lowly cow barn into the historic landmark and museum we enjoy today! The museum is open by appointment. Individuals welcome. School groups and bus tours encouraged. Email info@bustihistoricalsociety.com and request a tour.